Tuesday, Apr. 23, 2019, 10:30 – 11:30 a.m. It is story time at the Beacon Hill Branch! 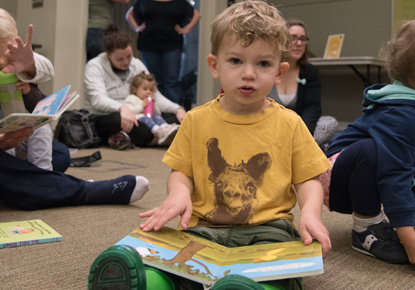 Bring your toddlers to enjoy stories, rhymes, songs, and movement with our children's librarian! Then stay and play with age-appropriate toys and books.